See what we’re up to and where we’re headed next! Whenever we return to California, we mark all the places we’ve visited on our DIY world travel map. It’s a fun, artsy way to display all the places we’ve been. (Thanks to The Happier Homemaker for the DIY world map idea!) Want to make one? 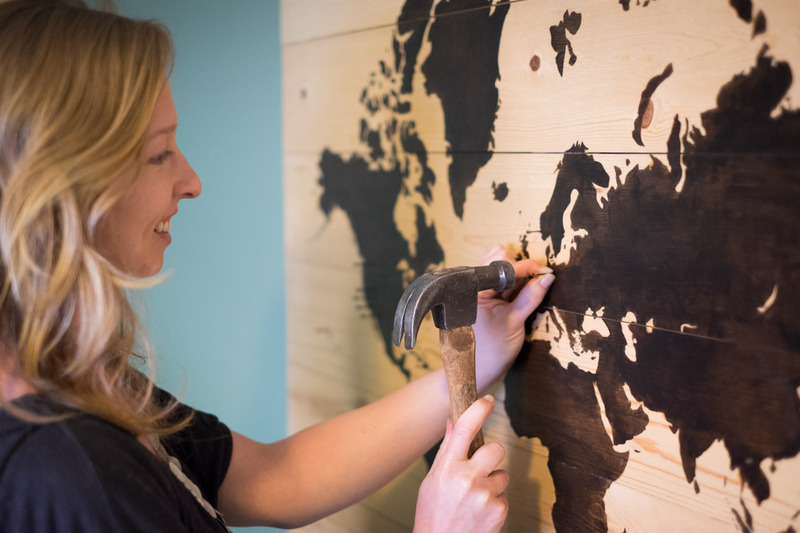 Check out my personal DIY experience with this map, including my tips for success!